The biggest advantages of the STIHL RMA 339 are that is lightweight, cordless and easy to handle. 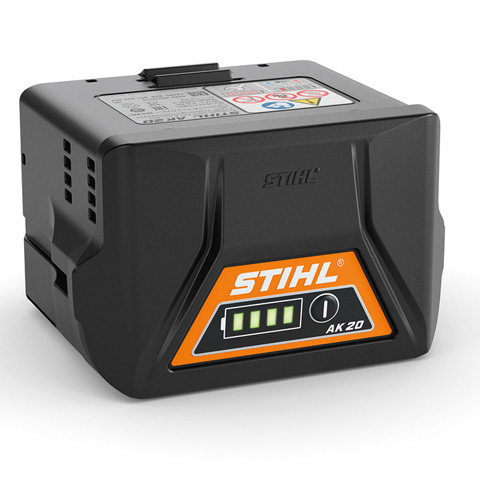 Its innovative STIHL COMPACT battery system runs off powerful lithium-ion cells. 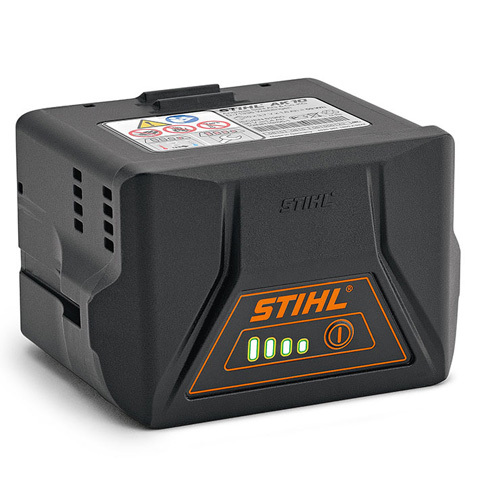 The batteries can be used for many other STIHL machines with this battery system by simply unplugging and replugging them. 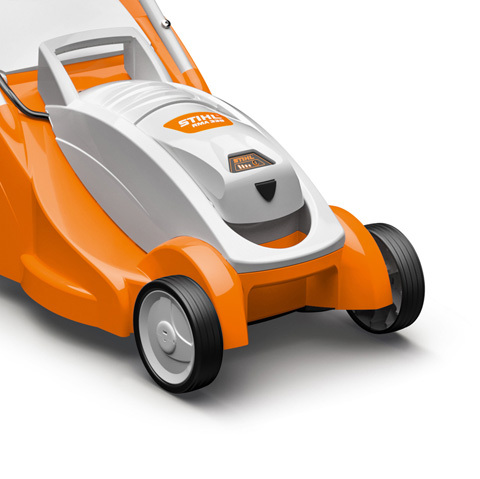 For especially economical mowing, collecting and retrofittable mulching, use the activatable eco mode. 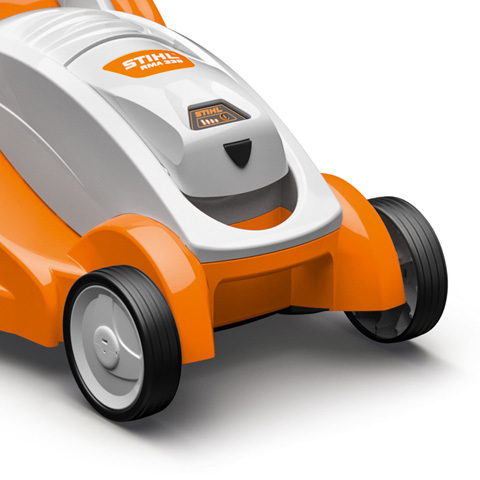 It automatically adapts the motor speed to the required power, for the greatest possible mowing time. The flow-optimised blade also increases the energy efficiency. This saves valuable battery capacity and increases the coverage. 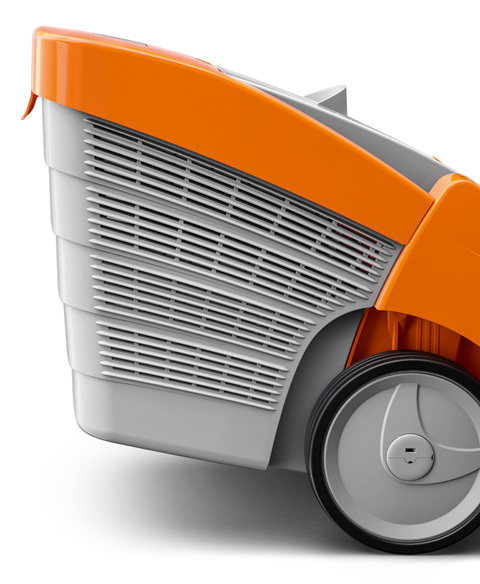 But that is not all: the lawn mower is also equipped with a foldable grass catcher box as well as central cutting height adjustment. 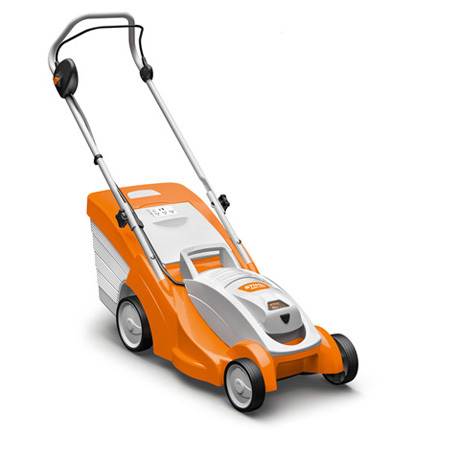 This enables the compact machine to achieve the best results on small and medium-sized lawns, and its straightforward handling makes it popular with all gardeners. 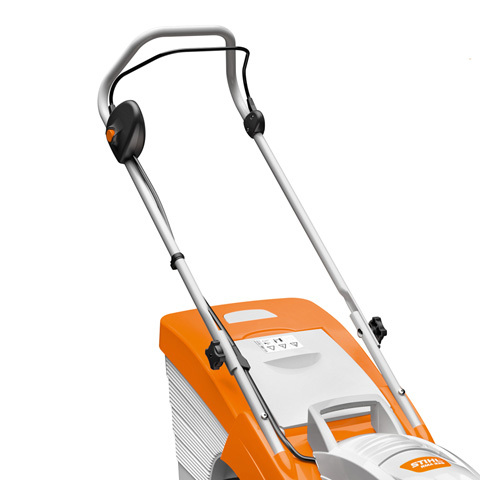 The STIHL battery-powered lawn mower has two carrying handles integrated into the housing for ease of transport. 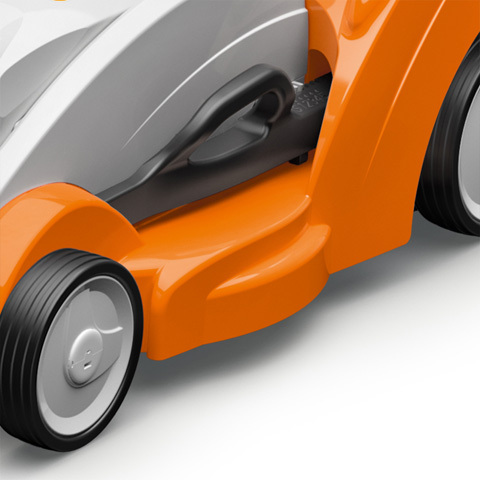 They make the cordless mower easier to load or return to the upright position. The carrying handles are also suitable as lashing points, for example for securing the lawn mower with a strap during transport. 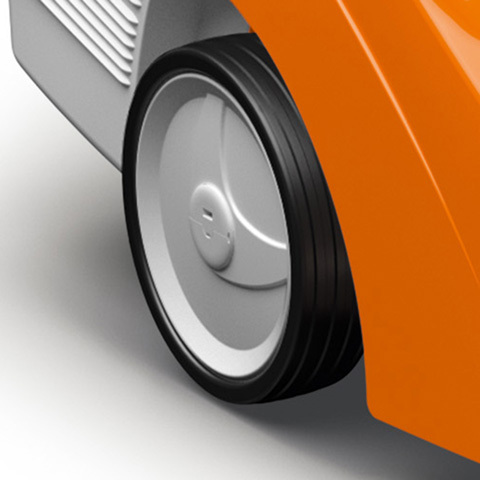 When eco mode is activated, the speed of the lawn mower motor is automatically adapted to the actually required power. 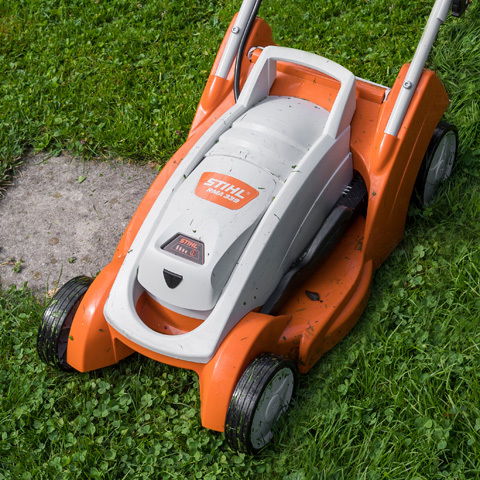 As a result, the STIHL battery-powered lawn mower consumes very little energy and can cover a larger area before it needs to be recharged. This cordless lawn mower features an effective mulching function. Simply remove the grass catcher box and insert the mulching key. The clippings are finely shredded and evenly distributed over the lawn immediately after being mulched. Consistent mulch mowing reduces lawn thatch. 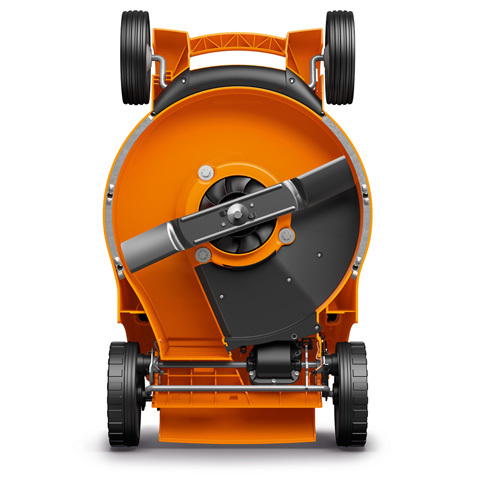 The mulching function dispenses with the disposal of clippings and provides the lawn with moisture and important nutrients. 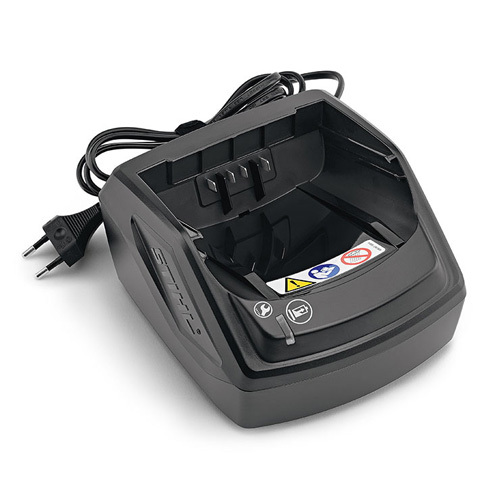 Compact lithium-ion battery for the COMPACT cordless power system with a voltage of 36 V and a capacity of 72 Wh. Battery life depends on the device type. With charge level indicator (LED). Compatible with AL 101, AL 100, AL 300 and AL 500 chargers. 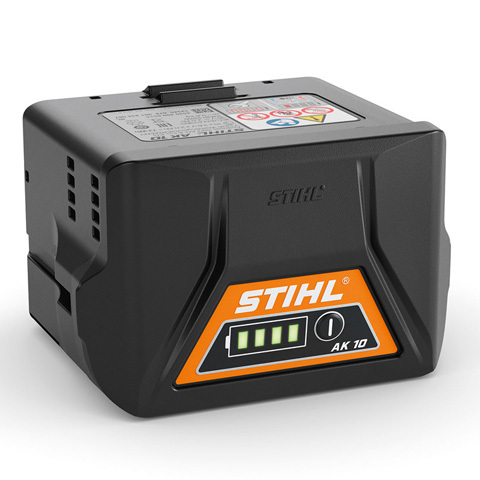 Compact lithium-ion battery for the COMPACT cordless power system with a voltage of 36 V and a capacity of 144 Wh. Battery life depends on the device type. With charge level indicator (LED). Compatible with AL 101, AL 100, AL 300 and AL 500 chargers.